Whether as a patient or as a loved one, multiple sclerosis (MS) is a difficult condition to deal with. Its effects on the central nervous system can leave patients with numbness, weakness, partial or complete loss of vision, or an unsteady gait, making performing ordinary activities difficult. Good medical equipment, when paired with regular physiotherapy sessions, can ease the burden of MS on patients and allow them to live fuller lives. Investing in home medical equipment also benefits primary caregivers as much as it benefits the patients themselves. Beds and furniture, mobility aids, and home safety devices are some of the items that can improve MS patients’ lives at home. We cover these below as well as discuss some things to look for when purchasing such equipment. A good medical bed is one of the most important pieces of equipment that a multiple sclerosis patient can have. 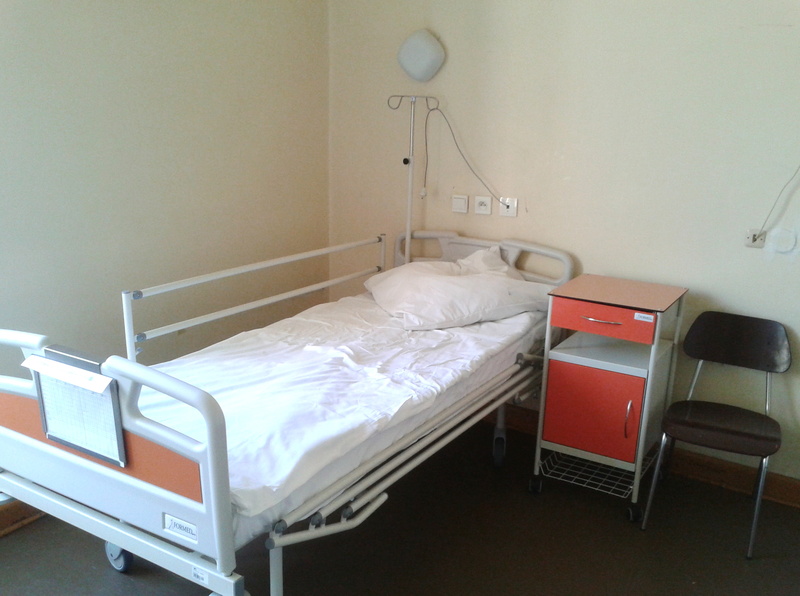 The bed rails on medical beds are an essential feature. They give MS patients something to hold on to when they need to adjust their position or when standing up. They also allow for adjustments to height, angle, and posture, making it easy to position patients comfortably or allow them to enter and exit their beds with less difficulty. When purchasing a medical bed, decide whether an electrical or manual model is right for you. Electrical models allow for easy adjustments, which MS patients might even be able to do on their own while staying in bed. On the other hand, manual models are harder to adjust, often requiring a primary caregiver to make any necessary adjustments. A good mattress complements a quality medical bed and is the first line of defence against bed sores. Bed sores occur when an area of skin receives no blood flow due to the application of too much pressure over an extended period. These sores can form on bedridden MS patients due to the weight of their own body pushing them down onto the mattress. One of the best ways to prevent bed sores is to use a pressure mattress specially made to relieve pressure on the skin, of which there are many different types. A memory foam mattress conforms to the shape of the body, which helps to distribute pressure more evenly. On the other hand, an air mattress cushions the weight of the patient with a layer of air. Mobility aids help multiple sclerosis patients feel less isolated due to mobility problems. Walkers and rollators allow patients to get around during the early stages of their condition when they can still stand up and walk to some degree. These aids let them visit with friends or neighbours to relieve some of the loneliness and moodiness they might experience. Walkers support patients, allowing them to stand and move on their own. They typically use lightweight aluminium to make them easy to carry, and some can fold up for easy transport. Some models have wheels on the front legs, which allow patients to walk without having to lift the device fully with each step. Rollators are like walkers, only they use heavier materials and come fitted with a collapsible seat. Some models come with a basket, and all have a cable brake for added safety. Because these might roll out from under the user, doctors recommend that patients only use rollators if they do not lean too heavily on the device as they might during the later stages of MS.
Wheelchairs come in different sizes and models. These become useful once an MS patient loses the ability to walk with a walker or rollator. Manual wheelchairs are your typical wheelchair. These require patients to impart a turning force on the wheel to propel them forward. 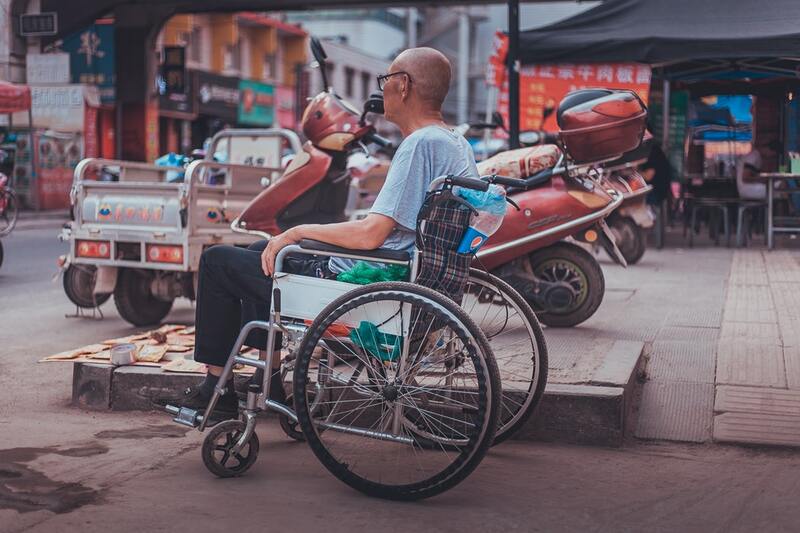 However, since MS results in weakness, caregivers almost always have to push patients around once the disease progresses to the point when a wheelchair becomes necessary. n as independent as possible. The weight of the patient is the most important factor to consider when purchasing a wheelchair, and it can dictate what wheelchair options are available. Work with a physician to determine which type best suits you or your loved one. Stair lifts are mechanical devices that carry people up and down stairwells using a seat mounted on a rail. Users sit on the chair, strap themselves in, and ride safely up or down the stairs. 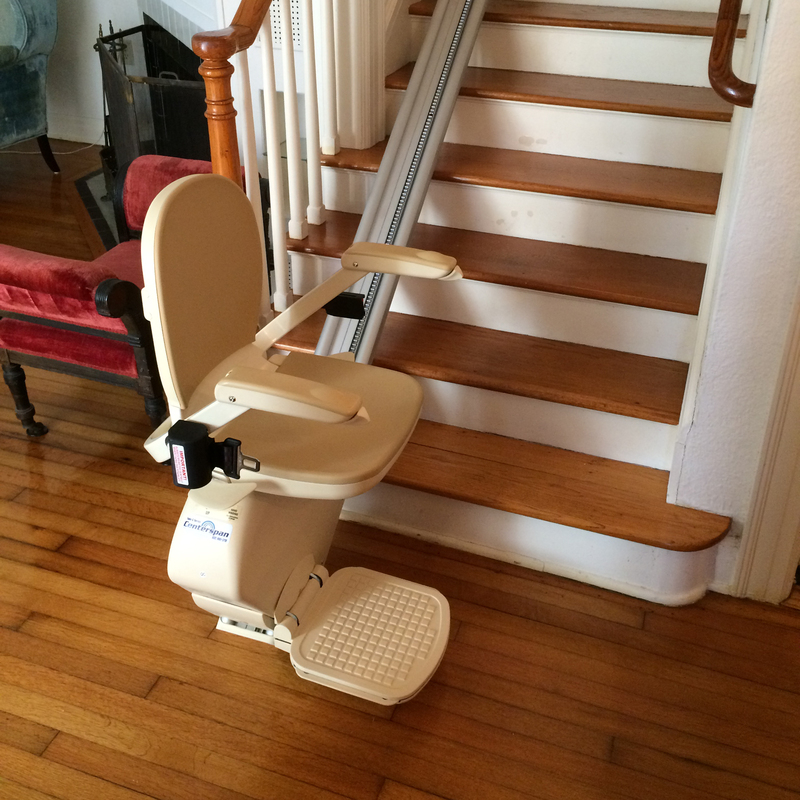 Stair lifts eliminate the inherent danger that comes with climbing staircases in a weakened state, greatly contributing to the home safety of MS patients. They also make the journey up and down the stairs much more pleasant and comfortable. The bathroom is another place where people with limited mobility can face problems. Since most homes do not come equipped with a roll-in shower, a bath chair is a great solution for bathroom safety while bathing. Other devices that enhance bathroom safety are handrails and rubber backed rugs to prevent falls and slips. With some care and good equipment, people living with multiple sclerosis can lead long, safe, and productive lives.